Tierney Sneed is a reporter for Talking Points Memo. She previously worked for U.S. News and World Report. She grew up in Florida and attended Georgetown University. More details were revealed Thursday about the fight over a grand jury subpoena issued for an unknown foreign-owned company in special counsel Robert Mueller’s investigation, with the unsealing of six orders and opinions handed down by a federal judge at various stages in the dispute. 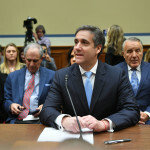 Michael Cohen’s public testimony in front of the House Oversight Committee Wednesday was as combative as expected, with plenty of congressional grandstanding and partisan fireworks. 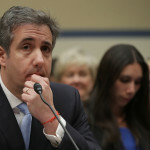 President Trump is withholding his tax returns because he doesn’t want outside experts scrutinizing him and causing him to be audited or penalized, his former fixer Michael Cohen testified to Congress Wednesday. 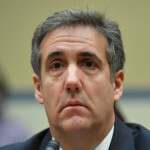 In a tantalizing exchange, Michael Cohen suggested Wednesday that there might be investigations ongoing in matters related to President Trump, beyond the hush money payments that Cohen pleaded guilty to, and the Russia probe. 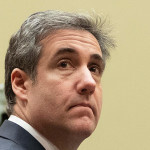 Michael Cohen vented his frustrations that Republicans’ inquiries for him at a House Oversight Committee hearing had so far avoided any questions about President Trump. In an attempt to dispute Michael Cohen’s claims that President Trump is racist, a GOP lawmaker brought an African American member of the Trump administration, who previously worked for the Trump Organization, to the House Oversight Committee hearing on Wednesday. The lawmaker, Rep. Mark Meadows (R-NC), then asked Cohen about the official’s own claims that she would never work for a racist. 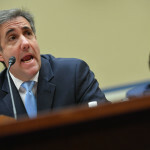 Michael Cohen and Rep. Jim Jordan (R-OH) got into a heated exchange at Wednesday’s House Oversight Committee hearing over Jordan’s suggestion that Cohen was not accepting responsibility for the crimes to which he pleaded guilty. 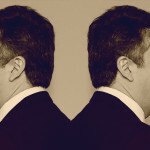 Michael Cohen on Wednesday claimed that he resisted taking a job at the White House, and even had a lawyer produce a memo advising against the idea. He said that after the election, he got the job he actually wanted. GOP lawmakers on the House Oversight committee threw a fit at the beginning of Michael Cohen’s much anticipated public hearing Wednesday because they said they had not received his prepared remarks early enough according to the committee’s rules. 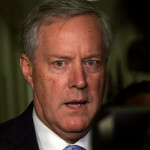 The tussle was a preview of what is expected to be a combative day, as Republicans have already complained about the Democrats’ handling of the hearing. 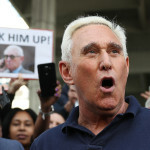 Amid suggestions from Roger Stone and his allies that special counsel Robert Mueller inappropriately leaked the charges he brought against the operative, Mueller filed documents confirming that the grand jury indictment was publicly posted only after Stone had been arrested last month.